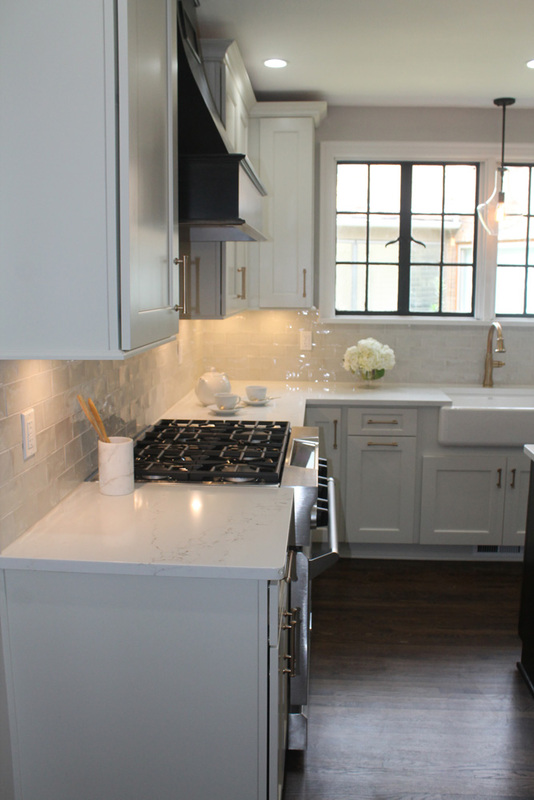 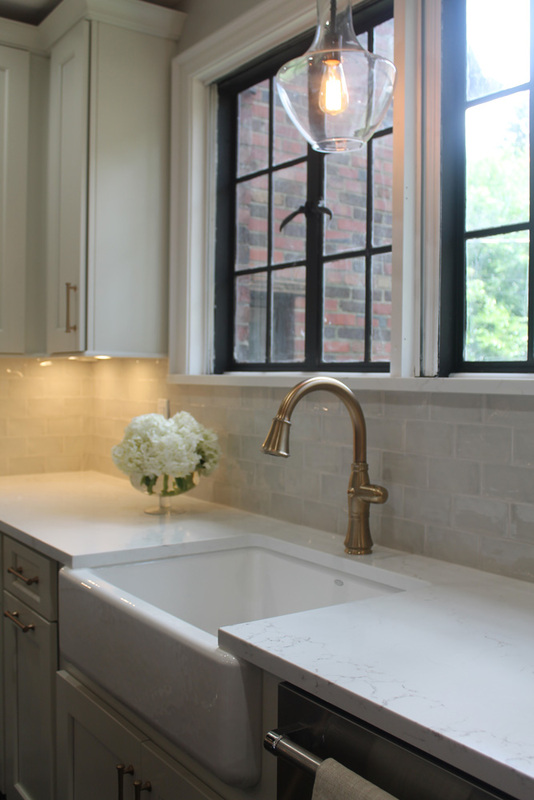 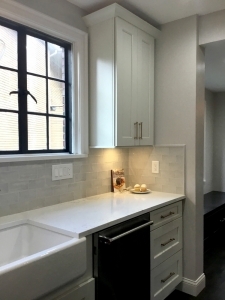 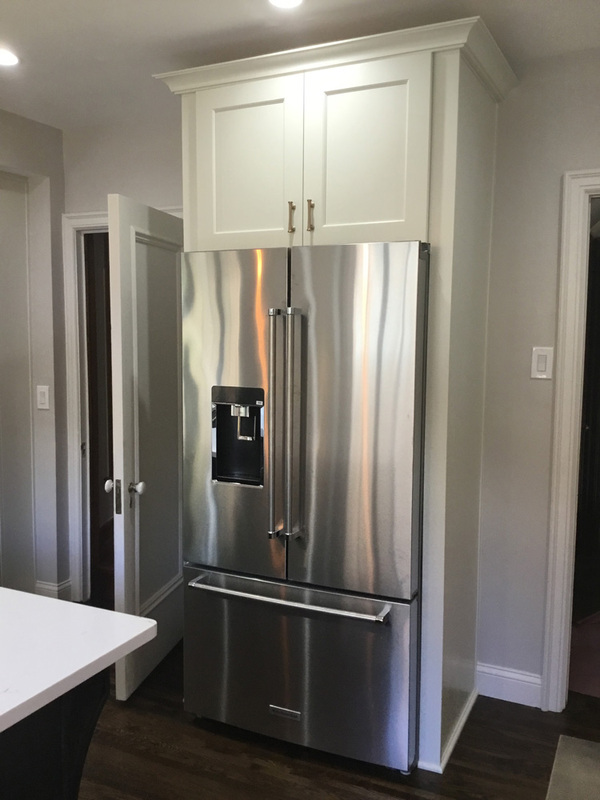 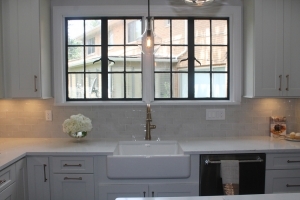 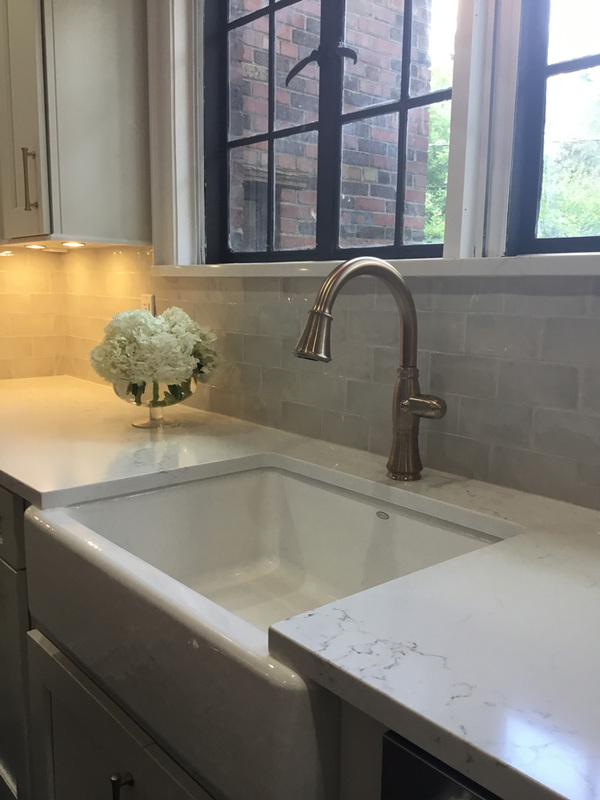 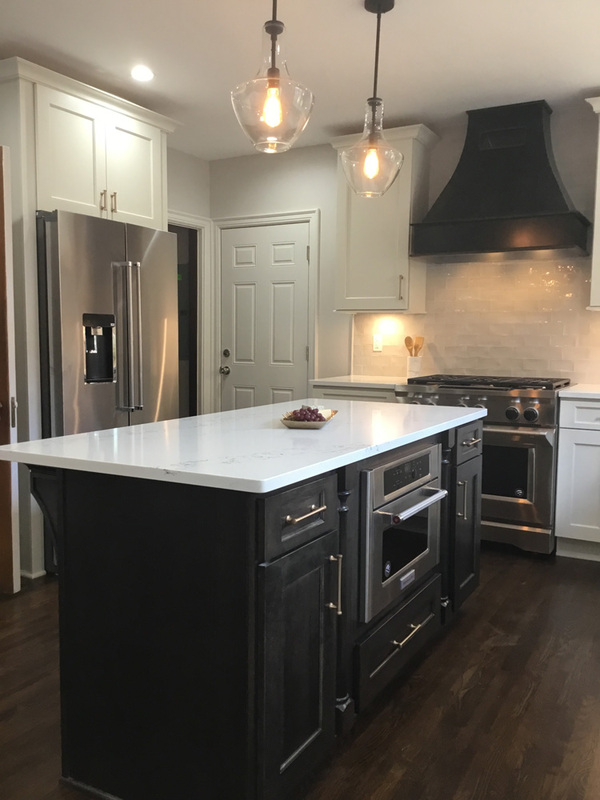 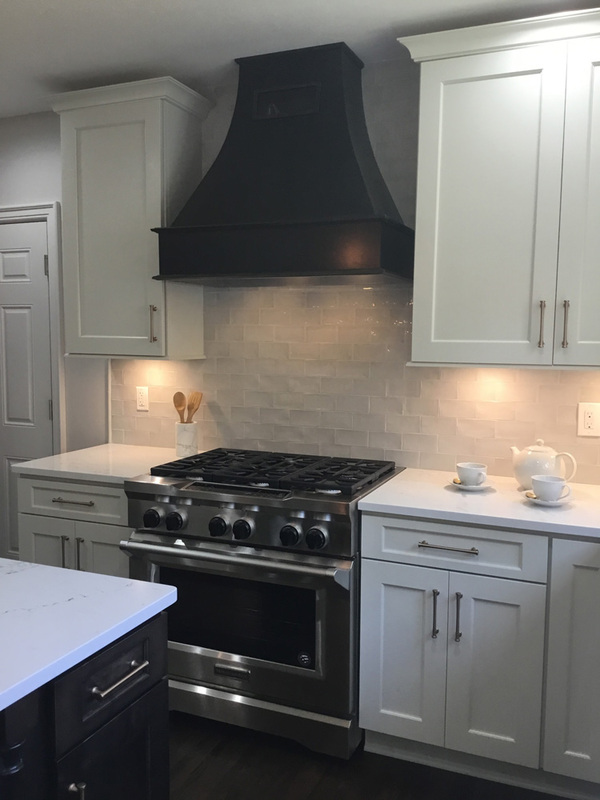 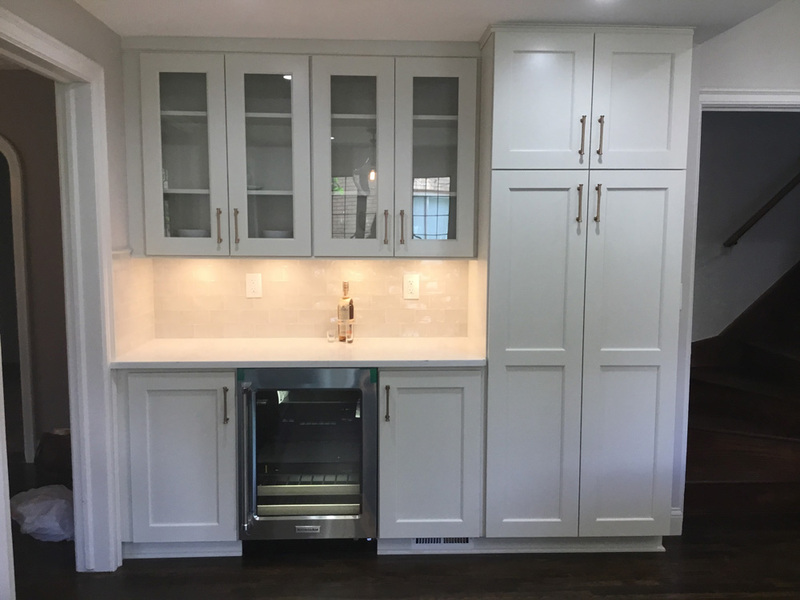 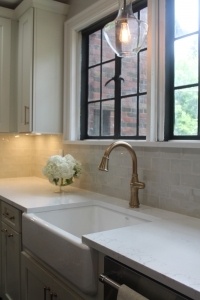 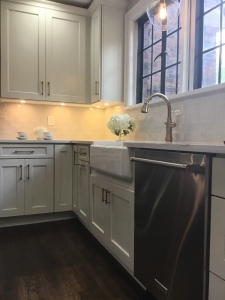 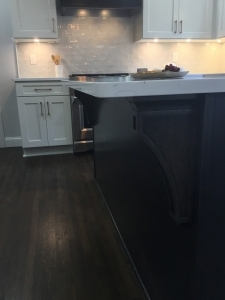 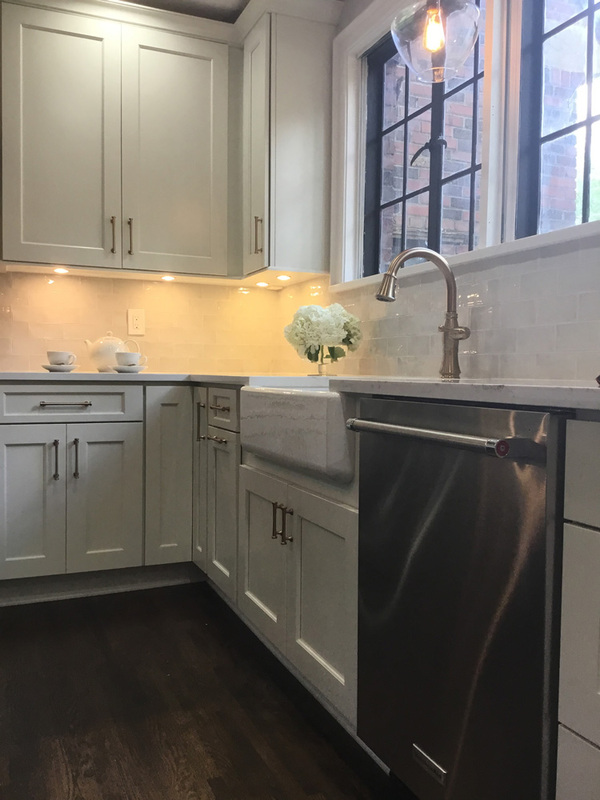 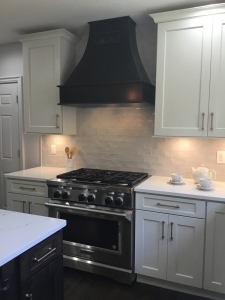 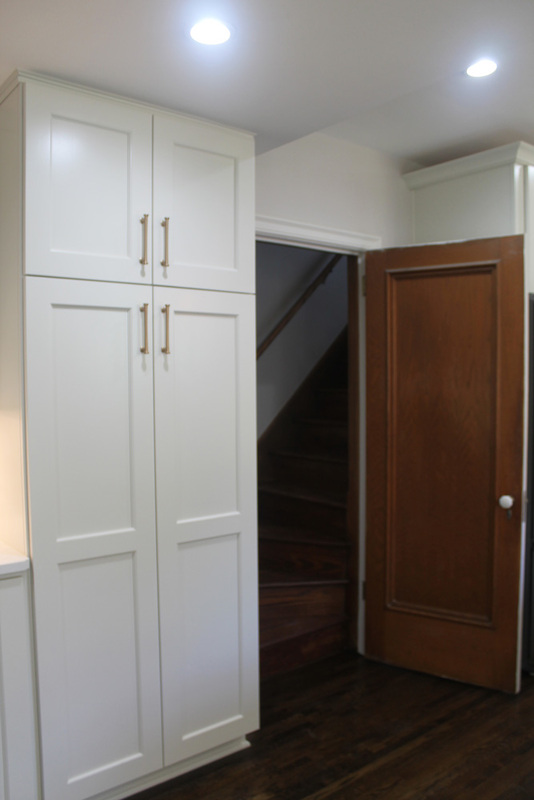 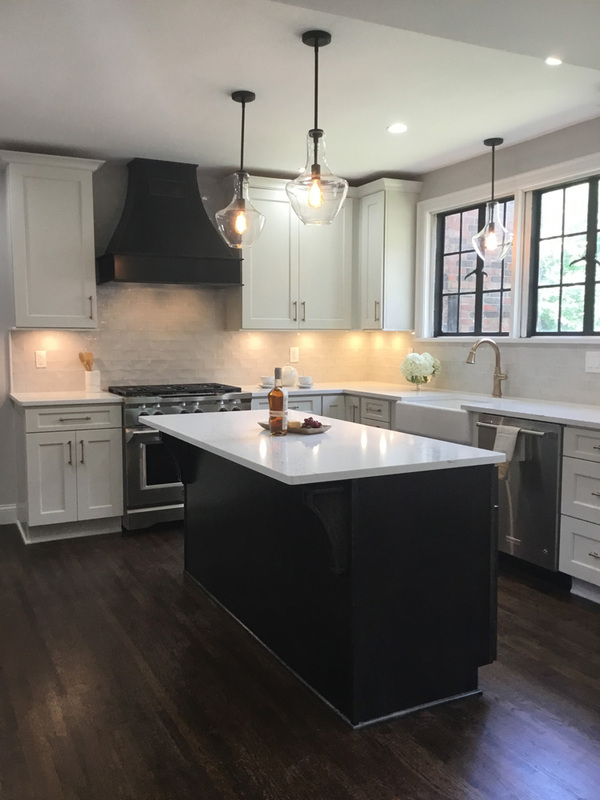 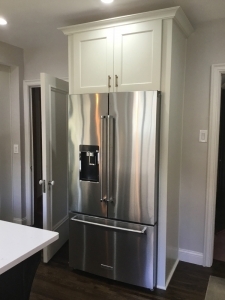 In the kitchen of this beautiful 1929 Detroit Tudor we replaced the outdated, builder grade cabinets with beautiful Legacy Crafted Shaker cabinetry. 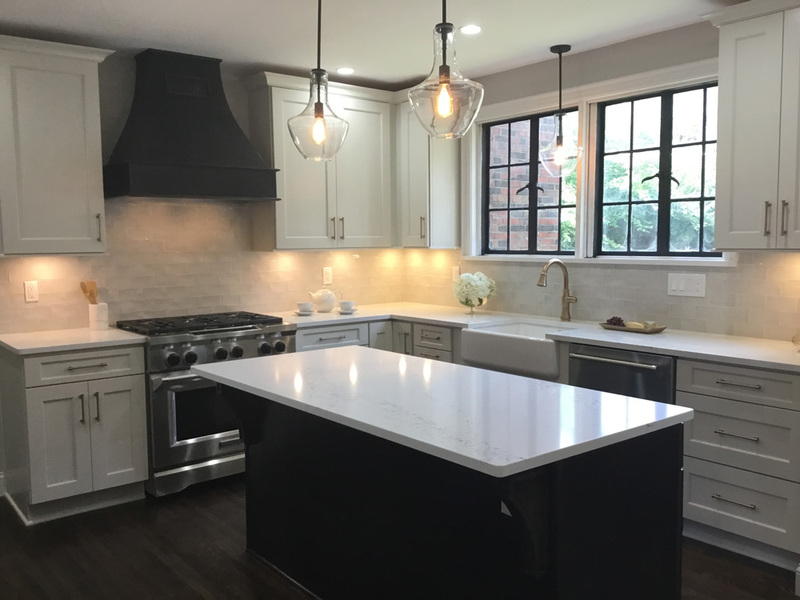 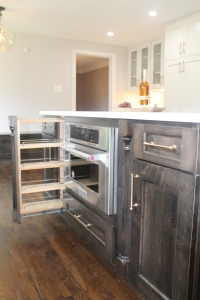 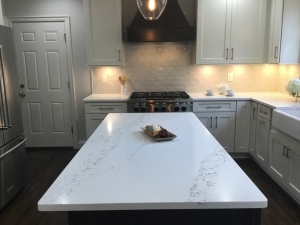 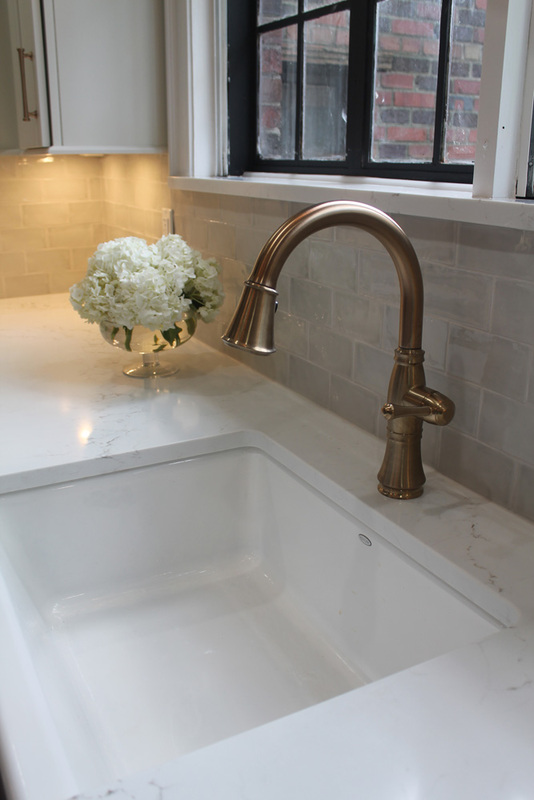 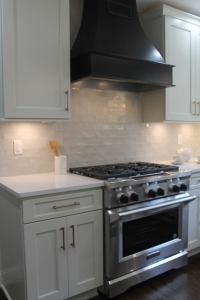 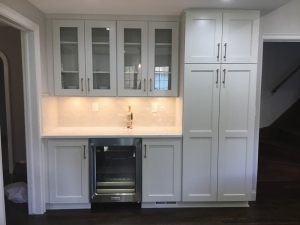 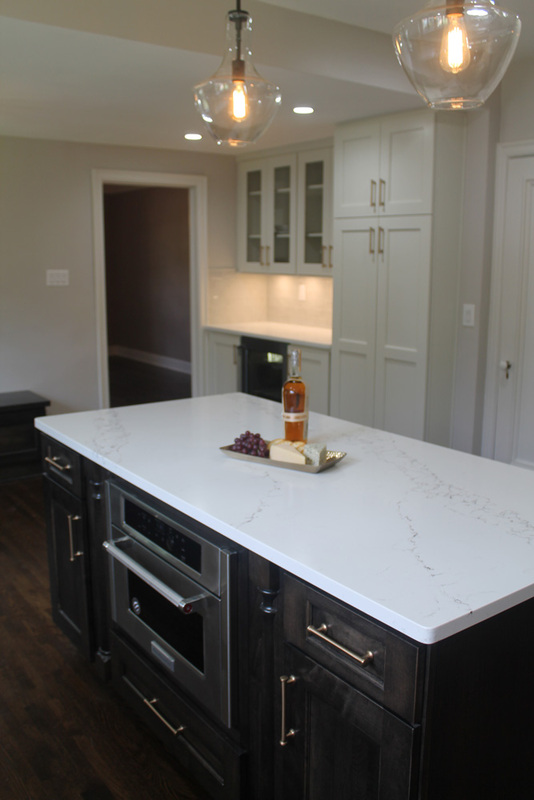 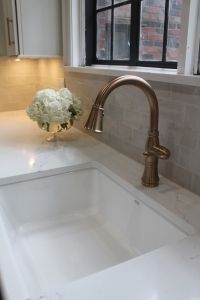 Our clients really wanted the space to feel warm and inviting, and loved the clean look of a white kitchen. 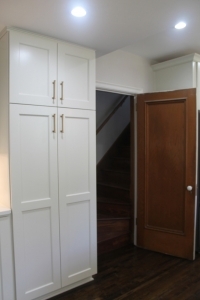 The Greek Villa painted finish, by Sherwin Williams, adds the perfect amount of warmth to the room. 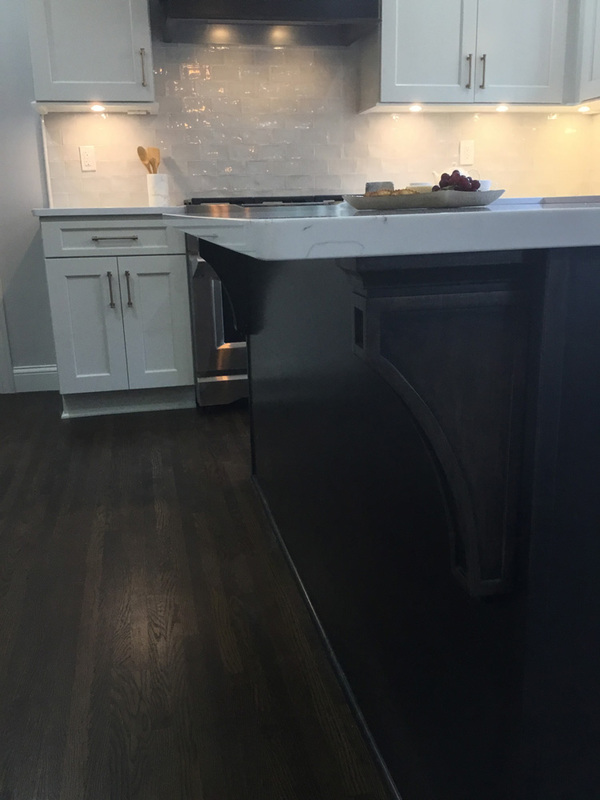 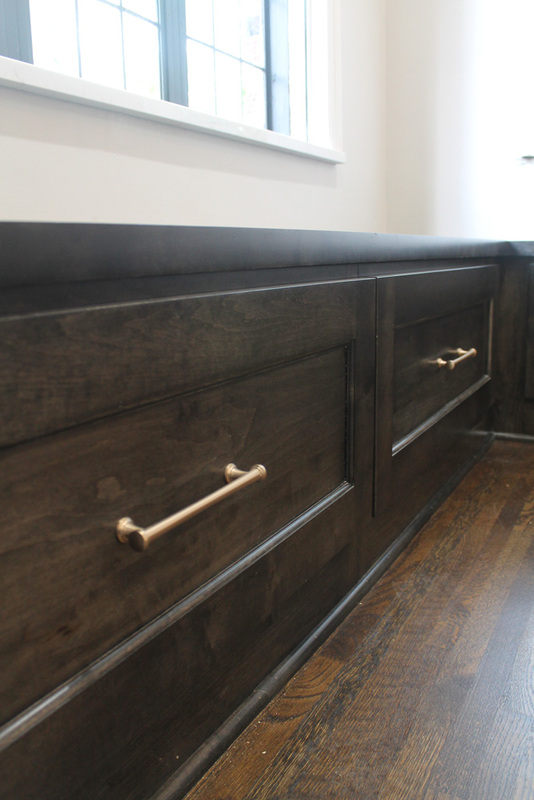 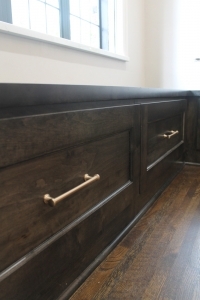 To add some contrast, we went with a darker stained island, hood and bench in the breakfast nook. 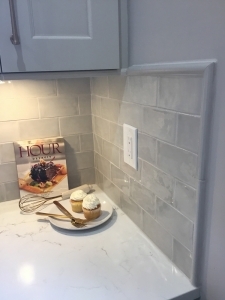 The ceramic subway tile backsplash adds dimension to the space while tying in the other tones of the space.